The sail snapped into life, and the boat began to heel. There was movement all about from the 15 member crew. And so ended what has seemed like a long wait for me – I was sailing. The main sail was up, and the jib came soon after. Soon we were sitting on the high side, and we bounced along the waves with the sea spray providing a welcome cooling reprieve from the sun that was directly above us. Beautiful houses perched on the hillside now came into view. The water felt like my entry point to a new lifestyle, removed from cars and roads. But, my first attempt sailing was short-lived. I felt the effects of seasickness, and planted myself at the stern, discreetly emptying my stomach contents into the sea below. 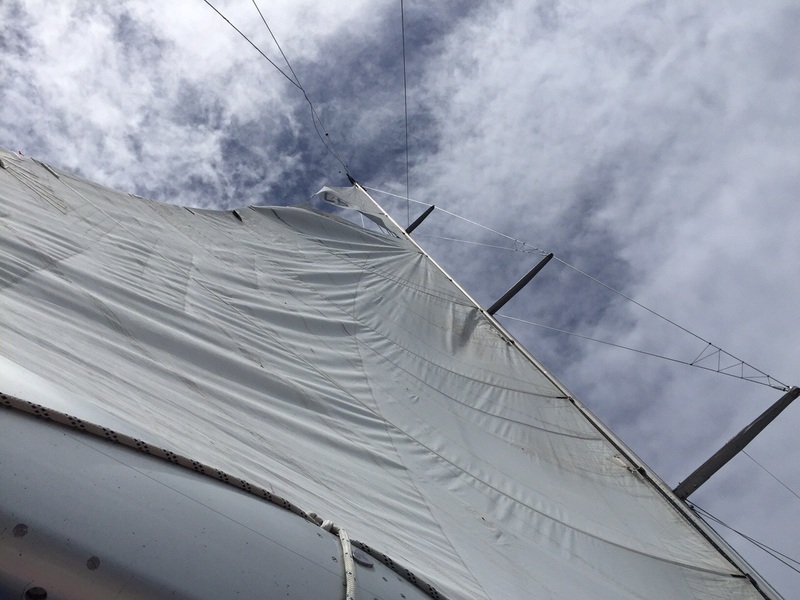 This unfortunate outcome coincided with a rip across the top stitching of the main sail, leaving it fluttering about as it ripped further and further until the rip stretched across the main sail. 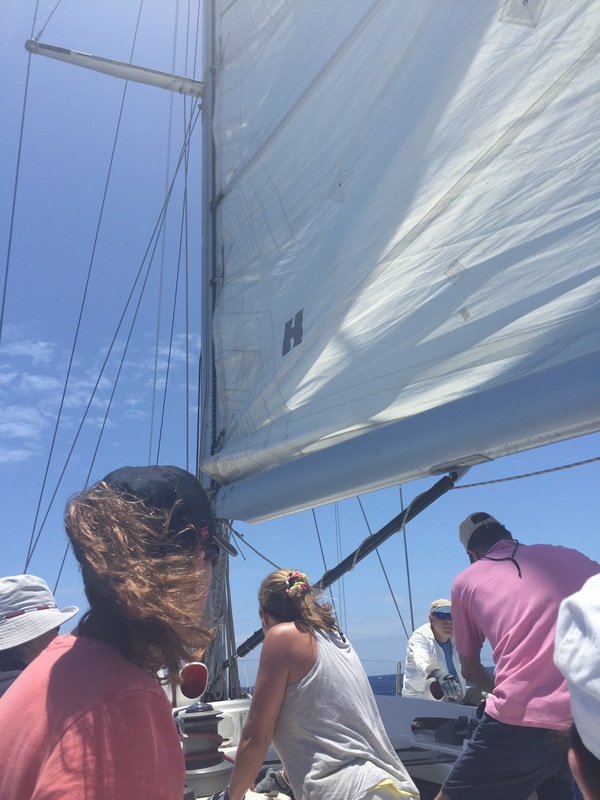 We motored back to shore, and took off the sails to be taken to a sail loft. 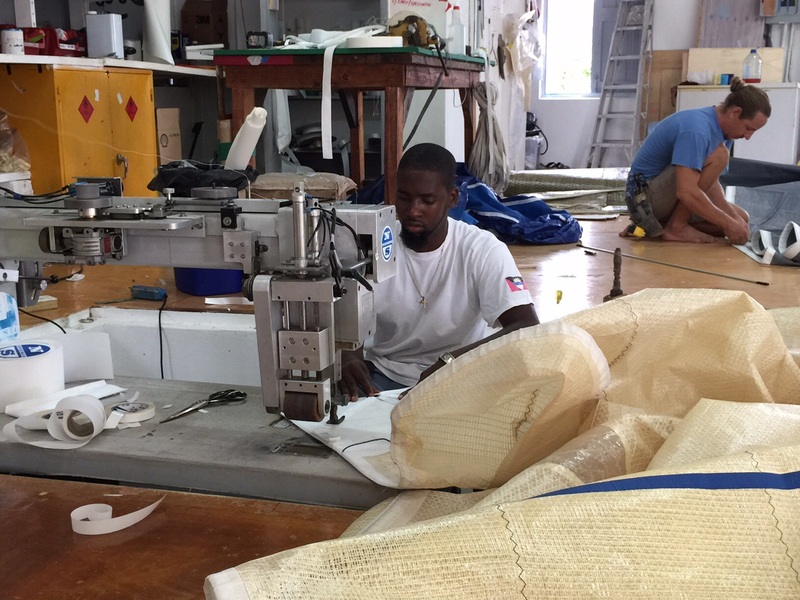 A sail loft is a sail-maker/repair shop, and during Antigua Sailing Week (ASW) they operate 24 hours a day, treating sails in triage fashion. 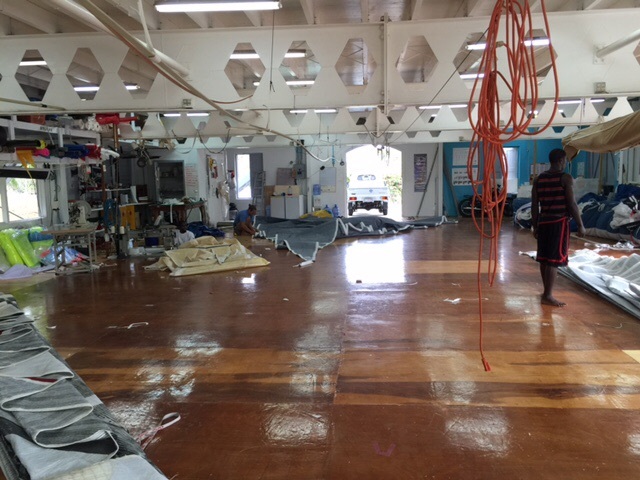 North Sails shop in Antigua, which is a sail loft. It is a huge space, and has a warehouse-like atmosphere. 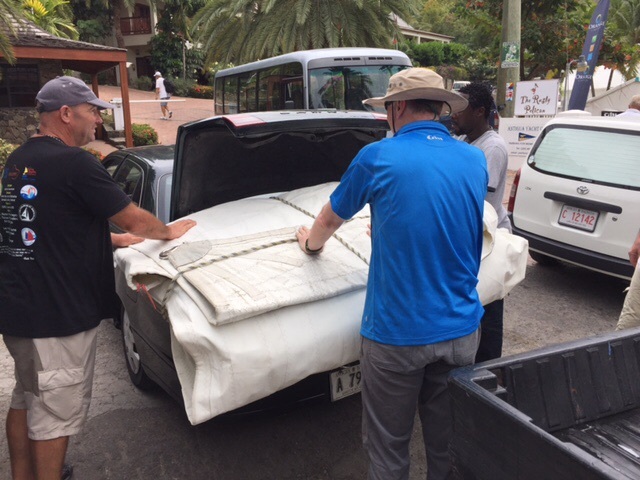 Our sails will be ready late tonight and our team is meeting at 6 a.m. tomorrow to reinstall the sails. I’m putting a scopolamine patch behind my ear tonight to stave off motion sickness. Two of our crew joined us today from Russia, and they have volunteered to make eggs for breakfast tomorrow. Our first race starts at 9am tomorrow. I too suffered from seasickness, it was short lived as in the UK we have something called kwells which is a motion sickness tablet, all sailors over here swear by them, not sure if you can get them where you are, if not I would highly recommend getting some imported. 🙂 happy sailing!! !